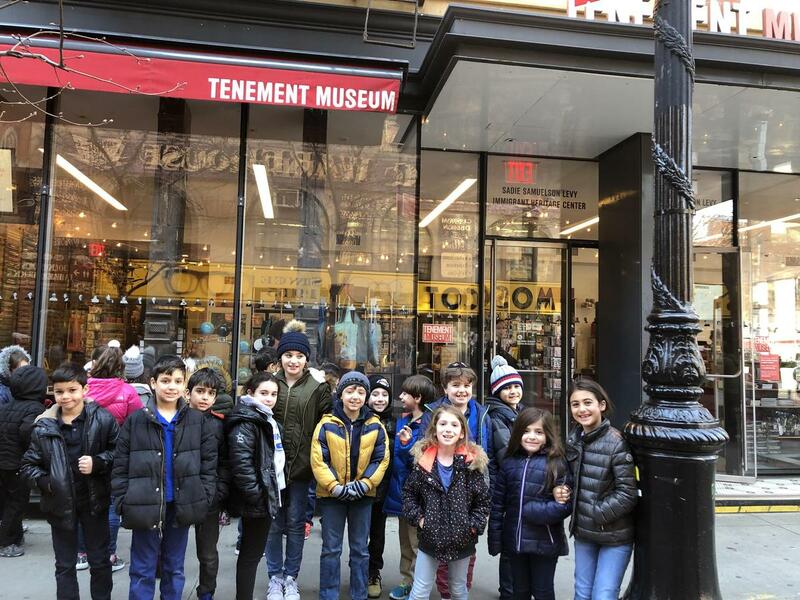 The second and third graders of The Brandeis School, along with their teachers, Mrs. Liebman & Mrs. Winograd, visited the Tenement Museum in New York City. the children have been learning about how diverse our country is with all of the immigrants who have made America their home. They met Victoria Confino, a fourteen year old girl who immigrated from Greece with her family. She graciously invited the children into the apartment she shares with 9 members of her family. Victoria answered questions about why her family had to leave their home and the opportunity they were now looking forward to in America. 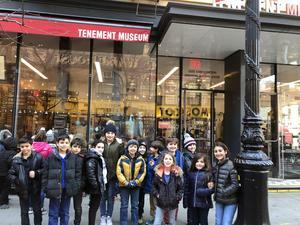 We culminated our trip to the Economy Candy Store on Rivington Street. This store originally began as a push cart on the Lower East Side. Fun was had by all on a wonderful day spent travelling back in time to learn about those who came before us!